Public sector technology procurement makes a roaring return this week after a month of subdued activity. 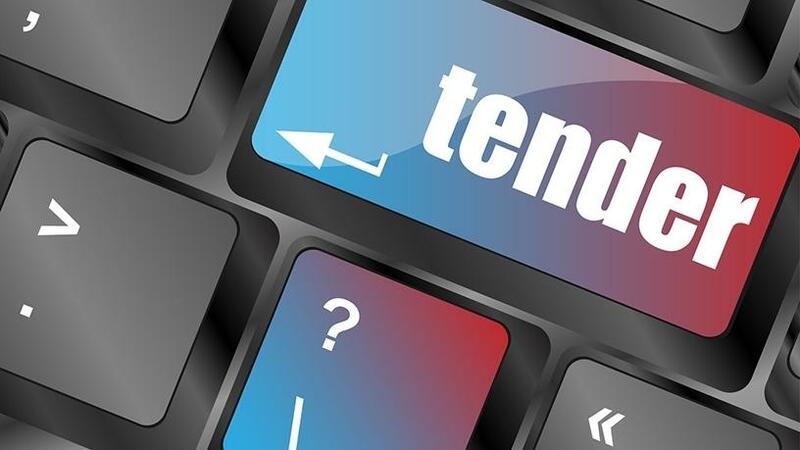 While the latest National Tender Bulletin remains on the slim side, advertisements for software, hardware and services respectively make it into the double digits. The latest edition sees a trend emerging of technology being deployed to improve access control and security measures in government. Interest in development also sees a flare with the Office of Health Standards Compliance looking for development and customisation of existing systems; the South African Revenue Service advertising for bespoke software development; an e-learning blue-print sought by the South African Local Government Association; and the South African National Roads Agency seeking highly experienced service providers for the provision of website design, development, hosting and digital services. Finally, a submission from the Department of Co-operative Governance and Traditional Affairs reveals it is preparing to roll out the Infrastructure Delivery Management System to selected municipalities. Supply and installation of a comprehensive electronic security solution is sought for Grey Hospital once-off services. Installation, supply and maintenance of a comprehensive electronic security solution is also required for Madzikane Ka Zulu Memorial Hospital situated in Alfred Nzo health district. Contact: (039) 254 0230; ntombekhaya.bumka@echealth.gov.za; monwabisi.cobongela@echealth.gov.za. ECDOH is also looking for installation, supply and maintenance of a comprehensive electronic security solution for Victoria Hospital situated in the Amathole health district. The IEC requires Lumension (Ivanti) software maintenance renewal. Note: All services providers that wish to render goods/services to the Electoral Commission must self-register on the National Treasury Central Suppliers Database (CSD) at www.csd.gov.za. The OHSC wishes to appoint a service provider for development and customisation, support and maintenance of its existing Contact systems for a period of three years. Contact: (012) 339 8681; jtulsee@ohsc.org.za; pkgwele@ohsc.org.za; mmankga@ohsc.org.za. The organisation is also looking for a professional service provider for an integrated human resource management and payroll administration system. Contact: (012) 339 8682, pmoholola@ohsc.org.za; pkgwele@ohsc.org.za, mmankga@ohsc.org.za. SARS requires provision of bespoke software development, maintenance and support services. Note: Site-viewing from the 17 - 25 October 2018, 10H00 - 15H00. Contact: (012) 647 9569; tenderoffice@sars.gov.za. Supply and installation of two HP fibre channel switches with maintenance and support are sought for the Department of Military Veterans for a period of three years. Contact: (012) 482 2127; thabelo.mutshinyalo@sita.co.za. SITA requires support and maintenance of installed ASG-TMON for CICS TS software at its data centres for a period of three years. Contact: Bongi Mochalatjie, Tel: (012) 482 2034, Email: bongi.mochalatjie@sita.co.za. A service provider is sought to maintain and support internet protocol (IP) telephony for a period of three years. Contact: (012) 352 1125, ezram@opsc.gov.za; reginas@opsc.gov.za. Supply, installation, maintenance and disposal of ICT infrastructure and telecommunications cabling is required at Upington and Kuruman Correctional Centres: Free State and Northern Cape region. The province is advertising for provision of access control system upgrade. Service providers are invited to submit proposals for additional Oracle licences and migration of data from Informix to Oracle. Contact: (012) 394 1281, dnkuna@cipc.co.za; nmaqhula@cipc.co.za. SASSETA is looking for a service provider to undertake business process analysis, development and improvement. Contact: (011) 087 5500; scm02@sasseta.org.za. SALGA requires a service provider to develop a local government e-learning implementation strategy/blue-print. Contact: (012) 369 8000; amgaga@salga.org.za; scm@salga.org.za. Supply, installation, commissioning and maintenance of mobile video conferencing trolleys. Acquisition of a computerised maintenance systems (CMMS) or computerised maintenance management contact systems (CMMIS). Installation of server cabinets and network racks. Appointment of a service provider to supply and install servers, storage device, tape library and related services to the Municipal Infrastructure Support Agent. Appointment of service provider to supply and maintain a converged voice, video and data MPLS network.